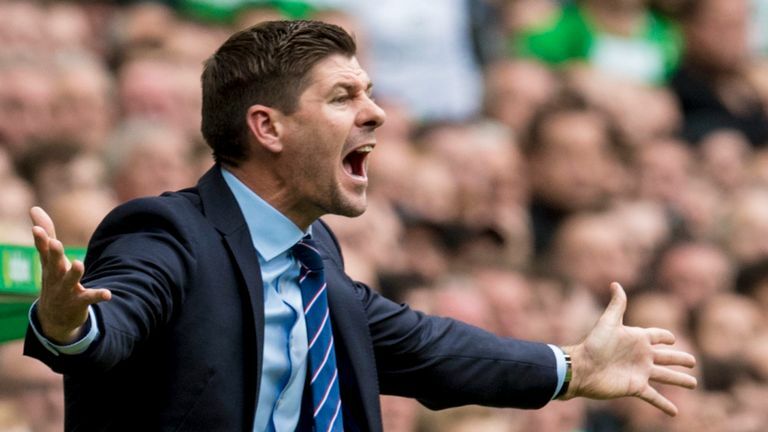 Steven Gerrard has lifted the lid on whether or not he expects Rangers to clinch a last-minute deadline day deal. Speaking following his side’s safe passage through to the fifth round of the Scottish Cup, Gerrard confirmed that there will be no more business, unless ‘something crazy happens’. Rangers have managed four immediate signings this window, in Jermain Defoe, Steven Davis, Andy Firth and Matt Polster, but the manager doesn’t envisage any further incomings at all meaning Rangers fans must wait till the summer for Glen Kamara and of course Jordan Jones to arrive. So it seems the manager is content with the state of play at Ibrox for now and unless something stunningly unforeseen happens between now and midnight, the current squad is the one to last us till summer. Just a question guys. Has anyone ever asked about taking Fideringham? His is a shot stopper but otherwise poor with the ball. Shows how poor we are playing when no one seriously looks to buy any of ours for more than 3 anna tanner. ALSO THOUGH CELTIC ARE THERE FOR THE TAKING. SO TIME TO GET THE COUBCIL BOOTS OFF AND START RUNNING AND GET FKIN IN ABOUT THIS JOB YOU'RE PAID TO DO. Buncha Lazy Bamms. We STILL.HAVE NO ONE AT IBROX SHOWING LEADERSHIP. We never sell anyone? How has Fotheringham not gone, or Hererra or Pena? We are going to be nicknamed 'the loaners' if we don't offload some players, in the summer. We've got half a squad, we need to rid ourselves of. What's going on with that? I think (again) that it's simply bad business. Now we have to pay wages for deadbeats like Herrera, till when? They keep buying, but are not selling. I don't get it. I'd take a bit of a loss, to get rid of the aforementioned Caixhina flops. We're not a retirement home for flop players, but that is what it's starting to feel like. SCIM BOB what planet are you on? Our squad is good enough! Dorrans and Murphy are on the way back. Davis and Defoe will DEFINITELY prove to excellent bits of business. And in case you hadn't heard, Pena will be off the books in the coming days: the transfer deadline does not affect clubs paying players off. Herrara's salary is now being met by his loan club plus he'll be away in the summer - as will Barjonas, Foderingham, Rossiter and a few others. All in all we are in good shape. Trust the management for God's sake! Joe 90 yes. Bang on about the selling/getting rid. PLUS Wasting youth players for over the hill punters. McCauley for instance. BUT SCIMBOB Woody, What have you been drinking buddy.